Updated Sunday January 20, 2019 by LYB. Why is Babe Ruth League requiring leagues to conduct background checks and Abuse Prevention Training? It has become the standard among youth organizations to require volunteers working with children to complete a background check. The purpose of the required background check is to deter individuals who should not be working with young athletes from applying to volunteer. Additionally, it serves to identify any unsuitable criminal history of those individuals who do apply as a volunteer. Babe Ruth League, Inc. cares about the protection of your players and feels confident that through your leadership as League President, as well as that of your local league's Board of Directors, we can achieve our goal of making Babe Ruth League, Inc. the safest program in which our youth can enjoy the great games of baseball and softball. 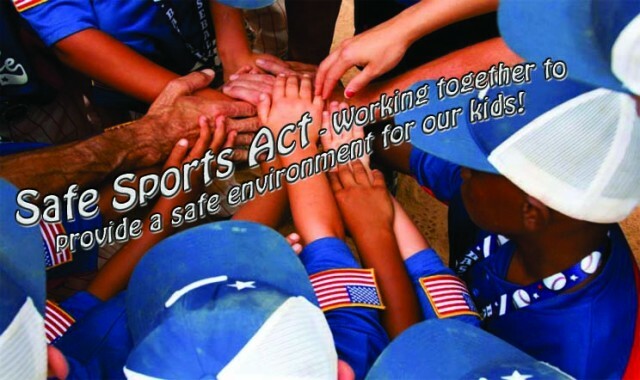 In addition, in February 2018, a Federal law “Safe Sports Act” was sign into law requiring volunteers to take abuse prevention training. With the help of Sports Engine we have worked to incorporate the training pieces into the background check program they offer to streamline the process for the volunteer and our leagues. Lakeside Youth Baseball upholds these same standards.